This page is managed by the Gauteng Branch of YWP-ZA. You can contact us at YWP.Gauteng@gmail.com if you have any questions or would like to get more involved. We would love to hear from you! Young Water Professionals Gauteng Committee 2016-2018. From left to right: Magalie Kanama, Vanessa Weber, Sivuyile Pezulu, Carien van der Walt, Itumeleng Mogatusi, Bronwyn Grover, Anelile Gibixego and Machaya Chomba. Members not in photo: Vidya Keshav, Siphiwe Sithole, Niel Louw, Sibonelo Zulu, Malebo Matlala, Lucy Munro and Lerato Baloyi. ​Sivu studied chemical engineering at the Durban University of Technology. He also holds a postgraduate certificate in Sales and Marketing from the University of South Africa. He has spent most of his professional career with global water treatment and process technology companies specialising in industrial water treatment, and municipal water and waste water treatment. Sivu also runs an environmental business known as iNdalo Group (@iNdaloGroup) specialising in the treatment of sewage using biological technology. ​Carien graduated with a Bachelors degree in Chemical Engineering from the University of Pretoria in 2012. After graduation Carien started working as a Process Engineer in the water treatment industry, with specific focus on the treatment of mine impacted water. In this role she gained experience in process design for a wide range of water treatment technologies. She has hands-on experience in the construction, commissioning, operations and maintenance of reverse osmosis plants, specifically in the mining industry. She has worked on various research and development projects, including the design and commissioning of a novel ion exchange technology pilot plant for fertiliser production in the Netherlands. ​ In January 2015 Carien joined Multotec and she currently heads up the technical support for the novel and patented continuous ion exchange technology, CIF® and Clean-iX®, from Australian company Clean TeQ, for which Multotec is the representatives in Africa. Carien is wildy passionate about water and has been since her university days. She chose to devote her career to this sector due to her belief that water contains incredible value, not only in providing life, but also in its use in industry, and as a potential revenue stream and source of intrinsic value. Carien lives by the motto that in order to receive one must also give, and that is why she decided to join YWP. Vanessa originally from DRC Congo, is at her last stage of her Master’s degree at Tshwane University of Technology in the department of Environmental, Water and Earth Sciences, Pretoria, South Africa. Her research focused on Bioremediation of Zinc oxide and Titanium dioxide nanoparticles using indigenous Halophilic bacteria in wastewater. She has been living and studying in South Africa since 2007, where she completed her under graduated and post graduate studies in Water Care Technology at Tshwane University of Technology. Vanessa has been captivated with water ever since she started her undergraduate studies and opportunities to better herself are always what she seeks in order to achieve more milestones in her journey. Being broadly involved in the water sector as well as able to be part to the many women who are empowering the future generation is her greatest pursuit. ​She has the honour to be starting her journey with YWP as a Vice Chair of the Gauteng Province 2016. She is excited to learn and grow and become an advocate of the YWP in Gauteng. Machaya is a PhD student registered at the University of Kwa Zulu Natal and based at the Water Research Node, Monash South Africa. His research interests include adaptive governance, institutional analysis and Community-based Natural Management. He pursued his Master’s degree in Integrated Water Management at Monash South Africa with a focus on institutional arrangements influencing benefit sharing of fisheries resources in wetlands. Before joining Monash South Africa, he worked in Zambia on issues of climate change, community-based natural resources management and also participated in a number of research projects after completing his undergraduate studies at the Copperbelt University in Zambia. “Look deep into nature, and you will understand everything better” – Albert Einstein. These words by one of the greatest minds of our time have been my mantra for my career and academic progression. The measure of society is not in controlling nature but rather understanding the interactions between society and nature. It is with this mind-set that I joined the South African Young Water Professionals in order to learn and exchange ideas with other like-minded young professionals on emerging opportunities for water challenges in Africa. Itumeleng has always believed that she will be part of a generation of young people who will make a difference in the lives of African people. Her journey with water started when she discovered a component of Geology which she was studying at the called Hydrogeology, and how it was interlinked with sustainable water supply for communities was a bonus. Itumeleng graduated with a BSC Honours degree in Geology and Hydrogeology from the University of Witwatersrand in 2013. She is currently doing at her Masters part-time in Hydrogeology at the University of the Free State at the renowned Ground Water Institute. She works for Anglo American and is a graduate of its flagship program called BLAST (Building Leaders and Shaping Talent). Being passionate about mining and water her thesis focuses on the designing of a slope water depressurization system for one of the mining operations at Anglo. She currently works as a Hydrogeologist at Anglo American Platinum. Her other research interests include mine water management (particularly groundwater), treatment, reuse, conservation and the impact on the mine water on community based resource management. She was a student member of YWP since 2nd year and finally decided to join the committee in order to meet and serve with other young professionals who want to use science as a tool for change. Vidya is currently completing a Ph.D degree in Biotechnology which focuses on the bioremediation of heavy metals from wastewaters at the University of the Witwatersrand. During her enrolment at the University of Johannesburg; her undergrad research focused on the detection of bacterial pathogens whereas her master’s research focused on the removal of bacterial pathogens from wastewaters. Vidya’s interest in YWP begun in 2010 as a student member; where she was given the opportunity to present my undergraduate research project at the first national YWP conference. 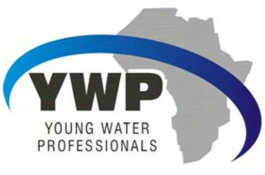 As a young scientist entering the water sector; YWP served as a platform that broadened her knowledge base beyond the boundaries of a laboratory. She gained greater respect towards clean drinking water and was driven towards making her contribution in water purification. In addition, YWP provided a network of experts within the field which enabled her to seek mentorship and grow as a scientist. Water is life! In South Africa 40% of population lives in rural settlements of which 74% depend entirely upon untreated groundwater. She believes every individual has a right towards clean drinking water and thus in order to improve access to safe drinking water, her research thrives towards the development of water purification systems that is affordable, sustainable and accessible to all. Bronwyn is an environmental chemist living in Johannesburg. She obtained her PhD in Environmental Analytical Chemistry from the University of the Witwatersrand and is currently employed as a consultant at Geostratum Groundwater and Geochemistry Consulting (Pty) Ltd.
​Bronwyn is passionate about the environment and chose to pursue a water related field from early on in her BSc. Her thesis research involved the use of geochemical modelling to complement analytical techniques in mine water. The first time she presented her own research was at the YWP Conference in Stellenbosch. The multidisciplinary audience provided valuable insight into her project and since then she has enjoyed the friendship, advice and networking oppurtunities that the YWP has provided. Anelile completed her Bachelor of Science in microbiology and cellular biology in 2011 from the University of Kwa Zulu Natal. She worked as a Laboratory Assistant, Hygiene Auditor and Environmental Microbiologist in 2012. She then worked as an Environmental Educator and assistant in the Ecological and Restoration department at Wildlands Conservation Trust in 2013. She began her journey as an Aquatic Ecologist at Groundtruth Water ®, Wetlands and Environmental Engineering® where she made great strides in the development of miniSASS and river health. Also managing the database of the Google Earth map based interface miniSASS website, development of citizen science tools for monitoring ecosystem health. She currently works at JG AFRIKA (Pty) Ltd, previously trading as Jeffares® and Green (Pty) Ltd as an Aquatic Scientist. She is responsible for assessments that determine the current water quality of fresh water resources through tools such as the South African Scoring System (SASS5), monitoring microbial water quality using benthic diatom sampling and analysis and bacteria. Her strong leadership and communication skills fuel her passion for public speaking and writing and working for the water sector. She is currently studying her Honours degree in Environmental Management, specialising in Aquatic Health at the North West University. She has been a member of the Young Water Professionals since 2014 and hopes to influence other young professionals and students in the water sector.